Los Angeles has been a major U.S. travel hub for well over 100 years, but in 2018, record numbers of travelers flew in and out of Southern California’s major airports. 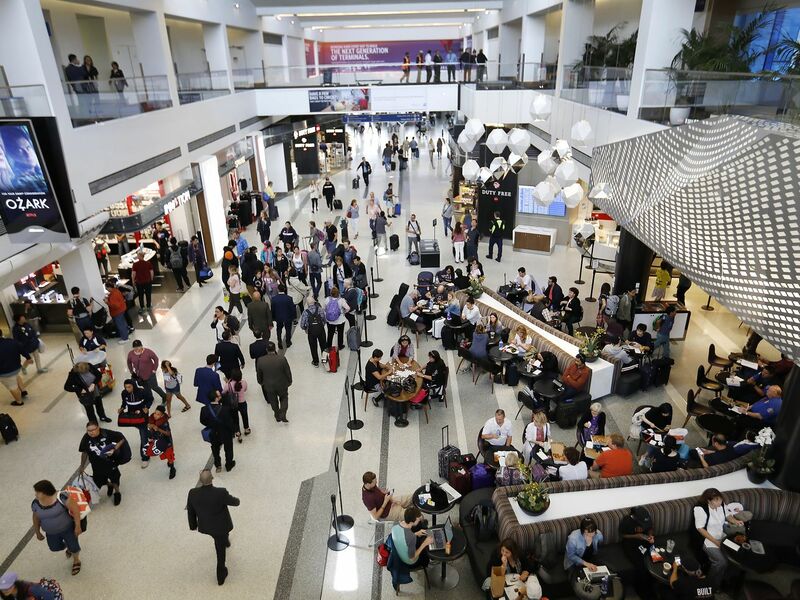 Los Angeles World Airports, which operates LAX, announced last week that 87.5 million travelers arrived at or departed from the airport last year. That’s a 3.5 percent increase over the number of passengers in 2017—and an all-time record. Hollywood Burbank Airport, in its first full year operating with its new name, served 5.2 million passengers last year. That was the highest number of fliers at the airport since 2007, when 5.9 million travelers passed through. A strong economy and relatively low fares may be encouraging more travel to and from the region’s airports. A statement from Hollywood Burbank Airport also suggests that the airline industry is only now beginning to fully recover from the Great Recession. Los Angeles City Councilmember Joe Buscaino, who chairs the council’s trade, travel, and tourism committee, predicts that terminals at LAX will only get busier as work continues on a major overhaul of the nation’s third-busiest airport. But Los Angeles airports aren’t the only ones that saw more crowds in 2018. A report from the International Civil Aviation Organization found that passenger traffic rose 6.1 percent worldwide in 2018, with a 5.2 percent gain in North America. Large amounts of air travel can be a favorable economic indicator, but it’s not necessarily great environmental news. The Environmental Protection Agency estimates that airplanes account for 12 percent of the nation’s transportation-related greenhouse gas emissions.